​Language educator Judy Martialay discusses FLES (Foreign Language in Elementary School) classes . . . what they look like, the benefits they bring, and how to get them started in your school district. This week, we are delighted to share a blog post from Maggie Mitchell Salem, Executive Director of Qatar Foundation International, in both English and Arabic! Maggie discusses the Arabic language as a broad spectrum, with a wide diversity of dialects that pose a unique challenge to (and opportunity to improve) the traditional approaches to language education. 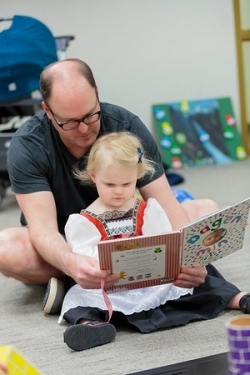 It's Okay—No, It's GREAT—to Talk to Your Babies in Two or Three Languages! ​A longstanding myth insists that exposing young children to multiple languages can harm their development. 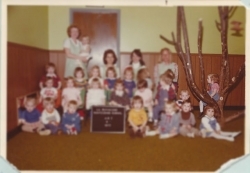 But in this week’s WorldView blog, Stacie Berdan dispels that myth, extolling the benefits of multilingual childhood for the littlest of learners. To date, 35 state legislatures across the U.S. have created State Seals of Biliteracy, including Minnesota. Almost all others are in process or in early stages of development. The Seal is an honor that is earned by high school students who demonstrate mastery of a second (or third or fourth . . .) language. 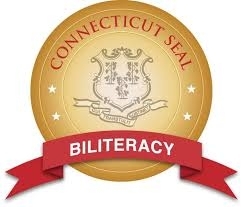 This week, Rita A. Oleksak walks us through the creation of Connecticut’s Seal of Biliteracy and shares the experiences of students who have earned it so far. What does a fair learning space look like? 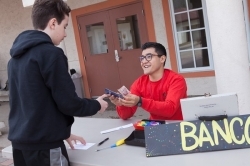 CLV group director Mark Chen explores the importance of making learning not just equal, where each student receives the same resources, but equitable, where each student receives the resources that they need as individuals. 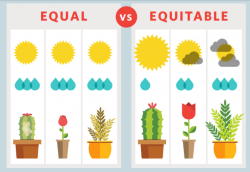 Examples from within the Villages offer models of equitable, and truly fair, learning environments. 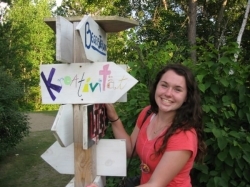 ​The mission of Concordia Language Villages is to inspire courageous global citizens. 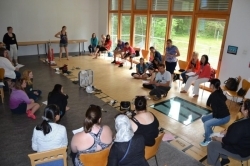 This summer, we reached out to two Waldsee villagers to explore what courage means in their language learning, in the Village and beyond. ​Immersion programs for language learning allow learners to make connections as they go: between words and structures, between language and culture, between the target culture and their own. 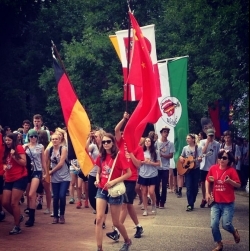 In this week’s WorldView blog, Ali Moeller, President of the American Council on the Teaching of Foreign Languages, discusses how immersive language learning leads to meaningful intercultural relationships. Studying abroad can be a tremendous learning experience for high school students, but many teenagers (and their teachers and parents) can be unsure about taking on such a big adventure so early in life. 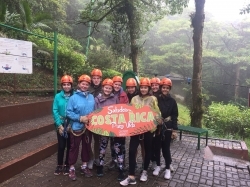 We reached out to Leslie Gale, Executive Director of Xperitas, for some expert advice on why high school study abroad is so valuable and for good ideas to ensure students have a great cultural exchange experience. ​Kate Paesani, of the Center for Advanced Research on Language Acquisition (CARLA) at the University of Minnesota, proposes an expanded definition of “authentic texts” in language classrooms. Authentic texts used for teaching usually include literary, cinematic and informative pieces; Kate proposes looking at road signs, candy wrappers, menus, multimedia pieces and even cartoons to help students develop both language proficiency and cultural literacy. 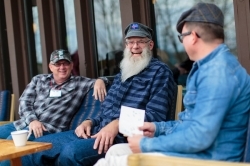 ​As we complete our month-long exploration of community-based learning, we’re delighted to have a post from Tom Rosenberg, President and CEO of the American Camp Association. Tom takes us through the history of American summer camps and why, after 150 years, they are more needed than ever. 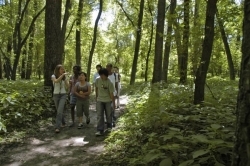 The WorldView Blog‘s theme for the month of May is community-based learning. To start off, we look back on some of our best blogposts of what community-based learning is and what it can do. Continuing March’s theme of Global Career Paths, Dr. Amy Hewett-Olatunde discusses how a global career can be right in one’s own city. Dr. Hewett-Olatunde’s work teaching English as a Second Language in St. Paul Public Schools allows her to change the world by preparing her high school students, who speak more than thirty different languages, for success in the United States. The final installment on Innovative Settings to Teach and Learn takes us to the northern Serengeti in Tanzania. 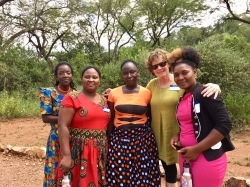 The Singiti Grumeti Fund invited Concordia Language Villages to offer immersion pedagogy workshops for primary school English teachers in the villages that border the Grumeti Reserve. Patricia Thornton offered two weeklong workshops with a total of 28 teachers in early 2018. Her primary focus was on teaching in the language and not about the language. Continuing February’s theme of Innovative Settings to Teach and Learn, Liz Przybylski offers an engaging tool for language teaching: hip hop. By bringing the work of rappers from around the world into language learning, and encouraging learners to write their own verse, you enrich the understanding of a language’s rhythms and accents. We continue our monthly theme with the WorldView Blog and are focusing on Innovative Settings to Teach and Learn during the month of February. This week, Paul Magnuson takes us to Switzerland, where his teaching team is using principles from manufacturing and software development to support students in regulating their own learning. series on courage, Tove Dahl defines what courage is, what makes exercising it so challenging, and why practicing everyday courage is so rewarding. Her comments reflect both her research as an educational psychologist and her long-term role as dean of the Norwegian Language Village. 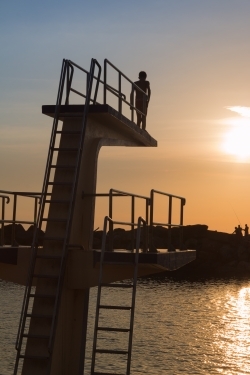 In the second installment of our Perspectives on Courage series, Heidi Hamilton discusses the courage necessary to learn a new language: courage to make mistakes and to navigate the world with linguistic limitations. Since the beginning, Concordia Language Villages has worked to nurture villagers’ courage, creating a space for them to take on new challenges, and grow both in the language and in themselves. 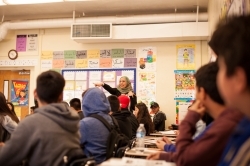 How can students learn to use a second language in unexpected situations? 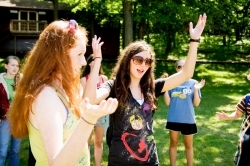 A longtime Waldsee counselor reflects on rehearsing a play without a script. 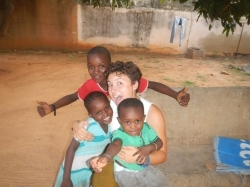 Espoir DelMain shares her experience living and volunteering in Senegal, and how her Village language skills applied to a real, diverse, dynamic world. 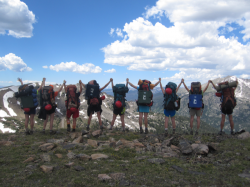 Former villager and current high school senior Betty Berdan writes about the need to spend time in immersive environments outside the classroom to enhance and strengthen the learning inside the classroom. Betty has studied Spanish and Chinese for many years and plans to continue studying both in college so that she can use her language skills in her future career. How Can Metacognition Improve Language Learning? ​Have you ever wondered how we learn? Metacognition, the skill of thinking about how we think and learn, is crucial to preparing our young people for the future. Mark Chen describes several activities to concretely develop learners’ metacognitive skills. Study abroad opens up a world of opportunities for students, and for those who incorporate language learning the benefits are even greater. In this piece, award-winning author Stacie Berdan highlights how students can enhance their international experience through language learning no matter their level. Concordia Language Villages launched innovative study abroad sessions for high school students this summer in France/Belgium, Germany and Costa Rica. Myths abound about how, for adults, it’s “too late” to learn a second language. Kari Berit outlines how, with the right environment and mindset, adult learners can indeed be successful language learners. Everyday problems and challenges provide valuable chances for language learners. 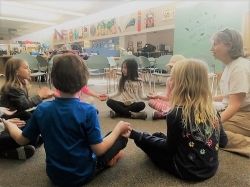 Mundane, unpredictable interactions like asking for more bread, dealing with incorrect change, or issuing an invitation to play are all opportunities to take language instruction out of the classroom and ‘into the wild’ of real life in another country. 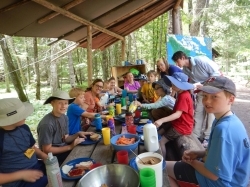 Heidi Hamilton discusses how learning ‘in the wild’ can benefit all language learners, from young Concordia villagers to adult international migrant communities. Cassandra Glynn, Director of the Master of Education in World Language Instruction for Concordia College, and Brandon Locke, Dean of Educator Programs for Concordia Language Villages, continually strive to help teachers make connections between practices in the Language Villages and those in their own classrooms. 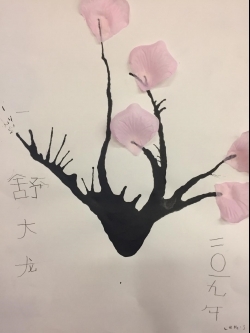 The idea for this post stems from their session at the ACTFL 2015 conference entitled Live the Language: Integrating Experiential Learning into the Classroom. In this blog they highlight two examples from their professional development work with teachers. In this blog, author Stacie Nevadomski Berdan argues that learning a world language is a critical component of a 21st century education, yet one that is not widely carried out in schools across the U.S. Parents can play an important role as advocates both inside and outside the classroom by supporting, promoting and expanding world language programs in their local school district, as well as supporting their children’s language study efforts throughout their K–16 education. Building upon an article co-authored with Lea Graner Kennedy for ACTFL’s Language Educator, Brandon Locke examines the power of world language educators to be champions of change, using the E in the acronym LEAD: Effective practices of leaders. Un, deux, trois, quatro, cinqo—Wait, What Just Happened? In a monolingual brain, language is represented as a web, connecting things and ideas to the words that name them, as well as information about how that word is pronounced and spelled, and how to use it. In a multilingual brain, a larger, more complex web is formed, encoding information about known words in all known languages and forming connections between languages. Students at the Leysin American School learned language online -- and taught each other. 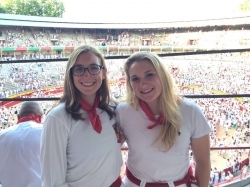 Julia and Patricia taught each other Portuguese and Spanish. There just aren’t that many high school research departments around, so as the director of one, I mostly get to make up what we are doing. 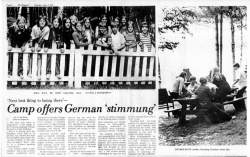 Several of the projects we’re working on relate to learning language, an interest of mine that started with my first Kursteilnehmer learning group in Waldsee, the German Language Village, in 1988. Here are two cool projects we’ve worked on here at LAS Educational Research. Arrival at the Village simulates travel abroad with passport checks and stamps, and a customs check of luggage to remove any English-influenced materials. Helping villagers develop a new perspective and a new global view is never left to chance. And it all starts on the first day of a Village session. Arriving at Concordia Language Villages is a signature experience and those first moments and next few hours set the stage for the stay. Approaching the Village ‘gate’ indicates to villagers that once they cross the border, they are entering a special place where they will join a community of language and culture explorers. They will, in fact, become citizens of the Village. 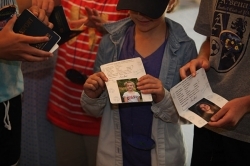 The key to creating opportunities for learners to try out a new language is a learning community that continuously constructs and maintains a kaleidoscopic playworld; this world begins for each individual at Concordia Language Villages by going through customs at the Village border on opening day with a Village passport and entering the grand simulation of a Village adventure. Twenty years from now I hope to be out of a job. Don’t get me wrong – I love what I do. I work for the American Council on Education’s Center for Internationalization and Global Engagement (CIGE). As our title suggests, CIGE focuses on the “internationalization” of U.S. higher education, as well as how U.S. colleges and universities engage and collaborate with the rest of the world. I contribute to the design and delivery of CIGE programs that facilitate institutional internationalization such as the Internationalization Laboratory, conduct research on policy and related issues, and gather and disseminate “good practices” in these areas. When my Salolampi path crossed those of Pirjo Tuuri and Aino Wheler in 1998, our obvious connection was Finnish language and culture. Almost 20 years later, we clearly see the deep thread of literacy that began our lives, brought us together and profoundly affects our current professional roles. 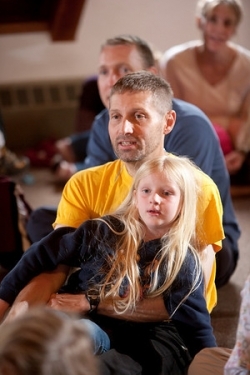 Every place and every activity in the Villages is a language-learning opportunity. Time and Place. Classroom teachers understand the importance and luxury of these two learning variables. There is never enough time. And, classrooms are mostly spaces, not places. Try as we might to decorate and personalize, the typical classroom is sharp and angular. Sometimes windowless! Usually cold. Routine is important to learning. At Concordia Language Villages staff members help villagers on their language journey by establishing clear practices and expectations. But sometimes the best learning happens when we’re caught off-guard. 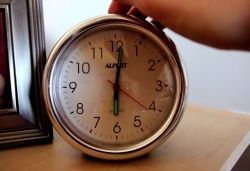 Recognizing this, counselors occasionally act in ways that fly in the face of crystallized routines. 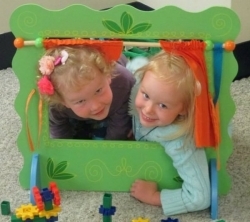 The element of playful surprise motivates learners to participate more energetically in our explorations of language and culture. We call this practice the creative tilt. 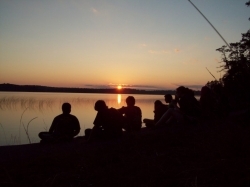 Concordia Language Villages: Perhaps Even Better Than Being There? Steve and Susie Baskin are parents of a Lac du Bois villager and camp directors themselves. 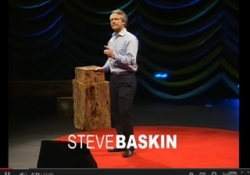 In this TEDx San Antonio talk, Steve articulates the reasons for attending camp and the important lessons youth learn with excellent role models and engaged in a positive learning community. Martha G. Abbott is the executive director of the American Council on the Teaching of Foreign Languages, an organization comprised of 12,000 language teachers from elementary through higher education. 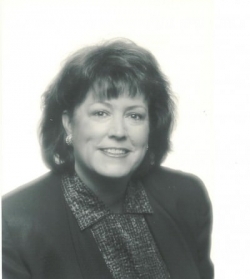 A frequent spokesperson for the importance and value of developing language proficiency, Marty took some time to answer questions for our e-newsletter and to share her insights on developments in language education, 21st century skills, and why everyone can learn a language.